One thing that can help you in your practice is establishing a routine. I have written several times about the benefits of a routine within the practice itself. I have written about the benefits of a special place to practice where you will not be interrupted and can block out whatever else is going on. Today I want to discuss the benefits of a special time to play. Pick a time when you are at your best. Practicing violin is at least as important as football, baseball or gymnastics. Great athletes wouldn't think of scheduling their practice at a time of day when they won't do their best. Give violin some of your Best time, not just the leftovers. 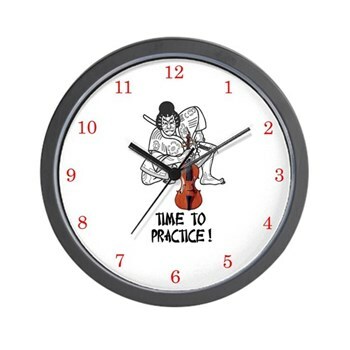 A regular time helps you to slip right into practice. It becomes a habit. A regular time allows you to avoid interruptions from friends and family. They realize that it is a time when you are busy, and will respect the fact that you are doing the same thing every day! Practicing at a regular time, in a regular place using a regular routine can be one of the best things you can do for your playing! This time of year is busy! Try to maintain that routine as you celebrate. 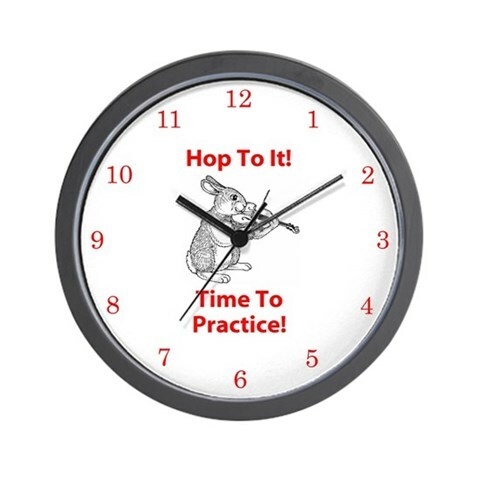 It really doesn't take very long to get a quick practice in, and you'll be glad you did come January! Pressed For Time? Don't Know What to Buy? Gift Certificates are a GREAT Way to Let Your Violinist Pick Exactly What They Want And They Can Be Delivered Electronically! 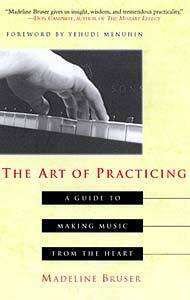 A GREAT book on Practicing Your Instrument! 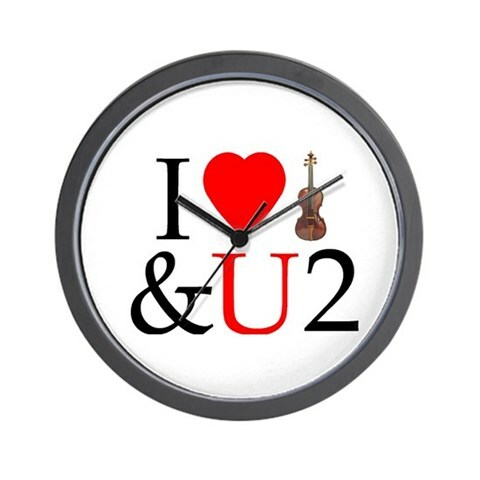 Amazon.com -- Everything from Books to CD's to DVD's to Instruments and Accessories! A Wonderful Choice because of Selection Alone! Sheet Music Plus -- One of the Best Sheet Music Sites on the Internet! Vast Selection. Good Prices. Popular Music, Classical, Bluegrass . . . They've Got It All! their products come with Low Price Guarantees!